A solid two-way player. Dependable when the big game is on the line. A selfless teammate. 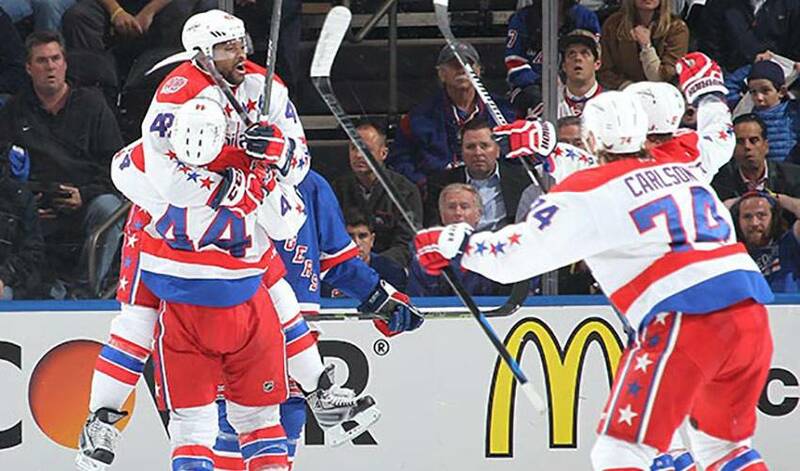 Those are just some of the terms Washington’s Joel Ward, who scored the winning goal with 1.3 seconds left in Game 1 of the Eastern Conference semifinals against the New York Rangers, used to describe the player he idolized growing up. And those very words could easily be applied to the Capitals’ versatile veteran forward. Ward’s teammates and coaches would undoubtedly say the same of him, a player who has earned a reputation for embracing various roles and excelling in them, but not always getting the widespread praise they feel he deserves. It doesn’t bristle Ward in the least. Instead, the affable 34-year-old, who skated in his 500th NHL game this year, focuses his energies on being the consummate complete player, equally committed to contributing both offensively and defensively. It was something Ward worked on long before his big league days, including in his four years at the University of Prince Edward Island where he earned a sociology degree and played hockey for the Panthers. A three-time MVP with the Panthers, Ward went undrafted in the NHL ranks before signing a two-year contract with the Minnesota Wild in 2006. It was two years later, as a free agent, when he signed with the Nashville Predators, making the opening night roster out of training camp and scoring his first NHL goal in his first game with the Predators, on October 10, 2008. It’s been 10 years since he played university hockey. Plenty has changed since then, but certainly not Ward’s impact at both ends of the rink and when the games take on more significance. Last year, playing for Team Canada at the World Championships, Ward began on the fourth line, but moved up and saw more ice time as the tournament progressed. In eight games, he had nine points. Six were goals. On Thursday night in the Capitals’ semifinal curtain raiser against the New York Rangers, it was Ward who delivered in the clutch. Perhaps an unsung hero to some, but not to those who know what No. 42 is all about.